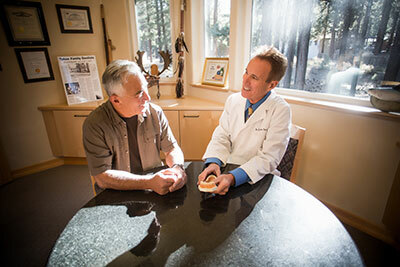 Tooth Colored Fillings – Tahoe Family Dentists - Providing excellence in dentistry in South Lake Tahoe. We provide fillings with safe, strong, and natural looking tooth colored resin which is also extremely durable. Every year, thousands of people find out that their old, amalgam (silver-mercury) fillings have cracked, come out of their tooth, or started to leak, staining their teeth and gums. 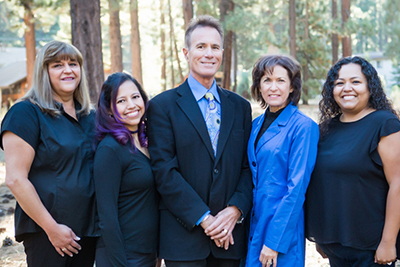 Our dentists in South Lake Tahoe fill cavities and replace old fillings with a safe, strong, natural looking tooth colored resin. White colored tooth filling material is made of a composite resin that is extremely durable and colored like your natural tooth. We can either use this resin to fill a tooth with a new cavity that has just been removed, or we can replace older fillings that are having problems. Unlike silver / mercury amalgams, resin based tooth colored fillings won’t cause additional problems in the affected tooth over the subsequent years. 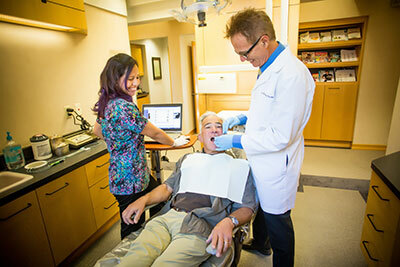 Tooth colored fillings can often be implemented in the same visit that a cavity is discovered. If multiple cavities are found, or the visit doesn’t allow for time to fill a cavity, a single appointment can be made and the fillings done quickly and efficiently. In many cases, the process can be completed in minutes, without the need for extensive prep work. Tooth colored fillings are also used to replace old fillings,. In many cases, an old amalgam filling will have expanded and contracted since it was installed, causing the tooth to become even more damaged; or bacteria can have gotten between the tooth and the filling, causing a new cavity under the filling. These cases may take slightly longer to fix as the old filling must be removed, new damage treated, and the resin filling applied. Do You Need Tooth Colored Fillings?